The upcoming game release of Blossom Bosoms was canceled for its launch in North America following trouble with getting the title approved. The title launched in Japan earlier this year and was originally set to be released on the PlayStation 4 in other regions. The game’s publisher, PQube Limited, revealed that Sony had blocked the game and was no longer considering it for approval in other territories. Blossom Bosoms is a JRPG title featuring an array of female characters who are teleported from their school into a beach-themed world. The characters are in search of what is called the “Sakura Stone”, an artifact said to be able to bring paradise to the world and turn every day into a scantily-clad beach vacation. Players can choose from a large variety of swimsuits for the characters to wear which give various stat boosts. 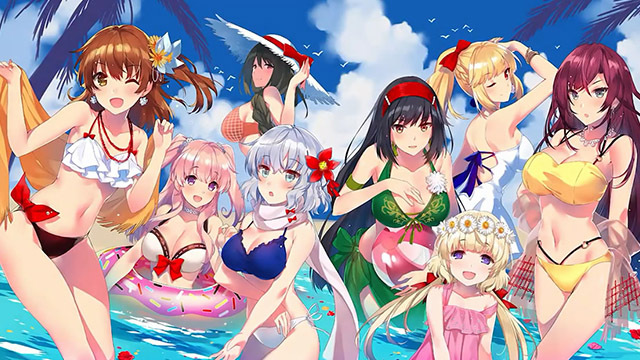 Rather than traditional RPG grinding, characters can participate in various activities to level up such as beach volleyball, water gun fights, gravure photoshoots, and wet T-shirt contests. Players can also more closely interact with the characters by using the PS4 controller’s touchpad to apply sunscreen lotion in between activities. Sony is suspected to have blocked the game either for its suggestive content or possibly due to not wanting foreigners to have nice things. Many import fans expressed their disappointment with not being able to purchase the innovative game within their region. Sony did not provide direct comment in regards its blocking of the game, but stated that it remains dedicating to only allowing content that is appropriate for broad playerbase. Sony stated that gamers would still have plenty to look forward to with much less offensive upcoming titles such as Killzone: Extraction, Gore Force 4, and Genocide Simulator 2019 approved for release next year.